The publication of Treasury of Daily Prayer included an essay on the Ember Days, and this has lead to some questions, both to me as the author of the essay and the general editor of the book, and on various e-mail lists. This is a legitimate question, especially in the Lutheran community that, by and large, has probably not heard of them or think of them as something only quirky liturgical extremists do. So maybe we should extend the question to: what are Ember Days, and why would a Lutheran care? Well, as I said, good information at Fisheaters about the origin and development of the Ember Days in the Roman Catholic tradition. following the Commemoration of St. Lucia (December 13). In the Church of the Reformation, the Ember days marked a season of piety especially devoted to preaching on the Catechism. Martin Brecht writes: “In Wittenberg it appears that Pastor Bugenhagen treated the catechism four times a year. When he was in Brunswick in 1528, Luther substituted for him at the task” Martin Luther, Martin Brecht (Minneapolis:Fortress Press, 1994) II:274 . The Ember Days were originally days of prayer, repentance, and fasting. After the Reformation, the Ember Days themselves became for Lutherans one of the roots of the evangelical “days of repentance” Paul Graff . In Braunschweig 1657/1709, the Ember Days had the order of service for a day of repentance as their liturgy (I:221). Here, all four [sets of] Ember Days were expressly retained (I:228). Some areas put their days of repentance on other days, not necessarily on the Ember Days. Even in the 16th cent., the Lutherans in north Germany regularly observed the Ember Days as Days of Repentance. (I:225). Here’s what the 1613 Magdeburg Cathedral Service Book has for propers on the Ember Days. Wednesday after Advent 3: Invitatory and antiphons and responsory with an Advent theme or from the ordinary. Collect as in the Brotherhood Prayer Book. It is not marked as being an Ember Day. The readings appear to be a lectio continua. Antiphon for Magnificat: O Antiphon. Friday after Advent 3: Same as above, except: Antiphon for Benedictus, same as Brotherhood Prayer Book text edition, p. 235. Different collect. Saturday after Advent 3: Same as Wednesday, except: Antiphon for Benedictus: “Behold how glorious is he who goes forth to save the peoples.” Different collect. Wednesday after Lent 1 (Invocavit) is listed as an Ember Day. Matins: Reading as in BPB, p. 255. Antiphon for Benedictus as in BPB (ant. for Magn.). Collect from Quinquagesima (which is very similar to the collect in BPB, p. 255). Vespers: Lectio continua from Gen. 44. Ant. for Magn. : “If anyone does the will of My Father, he is my brother, sister, and mother.” Collect from Sunday. Friday after Lent 1. Not listed as Ember Day. Ant. for Ben. “Lord, I do not have a man, that when the water is moved, he may cast me into the pool.” Lectio continua. Vespers: Ant. for Magn., same as BPB, p. 255. Lectio continua. Collect from Sunday. Saturday after Lent 1. Not listed as Ember Day. Lauds: Ant. for Ben., same as BPB (ant. for Magn.). Lectio Continua. Collect for Peace (same as in TLH Vespers). Vespers: Lectio continua. Ant. for Magn., same as at Matins. Wednesday in the Octave of Pentecost. Not listed as Ember Day. Matins: Reading same as BPB, p. 279. Lauds: Ant. for Ben. “When the dies of Pentecost were completed, alleluia, praise came to Jerusalem, alleluia, to Zion.” Collect from Sunday. Vespers: Lectio continua. Ant. for Magn. “On the last day of the feast, Jesus said, Whoever believes in me, rivers of living water will flow from his belly, and He said this concerning the Spirit, whom there were to receive, who believe in Him, alleluia.” Different collect. Well, that gives you a taste of what’s going on in the Magdeburg Cathedral. Also, since up to the present the quatember [fasts] have been conducted in papal fashion, henceforth all pastors and preachers in the cities shall at every quatember, instead of the regular preaching, for fourteen consecutive days, take up the catechism and divide it up, that all of it may be set before the people and usefully explained throughout. And they shall also earnestly admonish the people that they, together with their children and domestic servants, be diligent in attending such useful and very necessary teaching and not be absent. And also during the quatember mentioned the pastors [pfarner] in the villages shall be diligent, so much as the time and place permit, to very carefully explain and inform the people regarding the catechism, which is a measure of all preaching. 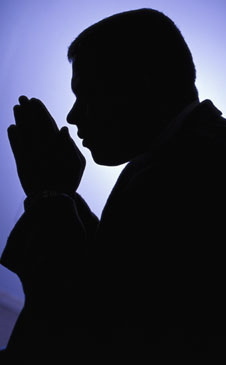 The traditional themes of repentance can be used in one’s personal daily prayer in a way that is already familiar, as a Day of Supplication and Prayer. (Propers appointed for a Day of Supplication and Prayer can be found in the LSB: Altar Book, page 992.) Hymns of confession and absolution would be suitable. 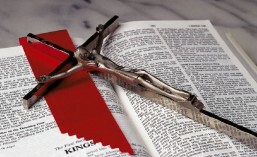 The appointed lectio continua readings of daily prayer is retained. In prayers, it would be fitting of the days to ask to be forgiven of guilt (cf. the Litany), to be spared from punishment (war and other distresses), and to pray the collect for peace (Vespers, LSB, 233). In the Lutheran congregation Individual Confession and Absolution could be offered quarterly on the Saturdays of the Embertides. More challenging, but no doubt it would garner great rewards in faith and understanding, would be to reestablish the practice of Luther, Bugenhagen and others “to teach the elements and fundamentals of Christian knowledge and life four times each year. There are some who think about things like the historic liturgy who get stuck on the “historic” aspect. Some have been heard, from time-to-time posit that the Preparation (consisting of Confession and Absolution, How Lutherans Worship -3) has been grafted onto the historic liturgy, and thus can be omitted altogether from the celebration of the Divine Service. Some modern hymnals have even tried to “restore” the liturgy by removing the Preparation rite to separate pages from the Divine Service proper. I will admit that such statements at one time swayed me. And that caused me to believe that the corporate Confession and Absolution as we see it in the Preparation was of less value. It is true that most properly the historic liturgy begins with the Introit. And it is true that the rubrics do legitimately allow the omission of the Preparation at certain times, like when Holy Baptism is celebrated at the beginning of the Service. Yet I no longer support that the Preparation should be omitted from the regular celebration of the Divine Service. It is inaccurate to maintain that Martin Luther predicated worthy participation in the Lord’s Supper upon confession and absolution. What Luther did expect is that the anyone coming to Holy Communion should examine his or her doctrine and life. For this he gave us Christian Questions With Their Answers (Small Catechism, CPH 1986, pgs 40-44, 2005 Edition). The reality is that the practice of examining one’s doctrine and life as preparation for participation came to be equated with the statement from The Apology of the Augsburg Confession “The Sacrament is offered to those who wish to use it, after they have been examined and absolved” (Apology XXIV [XII]:1). Examination of one’s own doctrine and life was replaced by confession. Confession and absolution became the benchmark for worthy participation. Historically, confession and absolution had been most commonly handled on an individual basis in a private setting. Yet even Luther’s day a corporate setting had developed whereby those who desired Holy Communion but had no specific or troubling sin that would drive them to individual confession could attend a service of confession and absolution on the Friday before the Divine Service. This corporate service was not intended to replace private/individual confession and absolution, but in most places, and over time, it did just that. In the past century we have lost our understanding of, and use of, the Service of Corporate Confession as a preamble and preparation for the Lord’s Supper. In its place it has become generally accepted that Confession and Absolution takes place before the Divine Service. I believe that this change has been accompanied by a pervasive loss of understanding and appreciation for blessing and benefit of private/individual confession and absolution – but this belongs to a different discussion. There is value in the corporate confession and absolution of the Preparation that causes me to not generally omit it. The liturgy of the Preparation puts Christ and the need for his work of salvation at the center of the worshiper’s contemplation right at the beginning of the Service. Not only is the doctrine and reality of original sin given voice, but the actual sin of the individual, the sins of commission and omission, are recognized and brought forward before God in repentance. The text leads the worshiper, for a time, into the darkness that is not only our common human condition, but individually our suit of filthy rags. It then leads us to recognize and call upon Jesus as our only “cure” for the sin that sickens us and would otherwise leave us a spiritual corpse. Then, in the Absolution, the pastor clearly stands as the administrator of the Office of the Keys. By these words, whether spoken upon the individual or corporately, he actually forgives sin by the command and in the stead of Jesus Christ. The grace of God that called us to himself in Baptism is announced. And Luther’s words hold true, so that whether individually or corporately we receive forgiveness from the pastor as from God himself. I will lament with you, and the Church, the loss of individual confession and absolution, and I certainly want to see our people regain and value this practice. I will also lament the loss of the practice of announcing one’s intention to attend the Lord’s Supper and I would think it a blessing for pastor and congregation to have such a practice restored. I would think it a blessing beyond measure that a congregation would participate in a service of confession and absolution on a Friday evening before the Divine Service. The reality is that we are not to this point in most of our Lutheran parishes. While we continue to teach and learn to that end, we take comfort in what the Preparation imparts to our celebration of the Divine Service. With that, let us move on to our discussion of the Service of the Word. Moses was told to take off his shoes because he was standing on holy ground. Even so, we must cast away our sins to stand in the presence of God, as the Psalmist reminds us, “Who shall stand in his holy place? He that has clean hands and a pure heart” (Psalm 24). The Apostle John declares. “If we confess our sins he who is faithful and just will forgive our sins, and cleanse us from all unrighteousness” (1 John 1:9). In the Confession of Sins, we are taught to admit, or confess, sin and the guilt of sin. We are saying “amen,” or “yes, yes, this is true” to God’s righteous judgment against our sin. This is some of the hardest schooling that the liturgy will do because the natural man, the sinful nature, does not want to give up control. Together we, with the Invocation and the Confession of Sins, deny ourselves, and trust in Christ. As Christians, our lives are to be lives of continual repentance as God promises eternal forgiveness. So we come in penitence and faith and confess our sins. But if we confess our sins, God, who is faithful and just, will forgive our sins and cleanse us from all unrighteousness. Silence for reflection on God’s Word and for self-examination. Let us then confess our sins to God our Father. Most merciful God, we confess that we are by nature sinful and unclean. We have sinned against You in thought, word and deed, by what we have done and by what we have left undone. We have not loved You with our whole heart; we have not loved our neighbors as ourselves. We justly deserve Your present and eternal punishment. For the sake of Your Son, Jesus Christ, have mercy on us. Forgive us, renew us, and lead us so that we may delight in Your will and walk in Your ways to the glory of Your holy name. Amen. 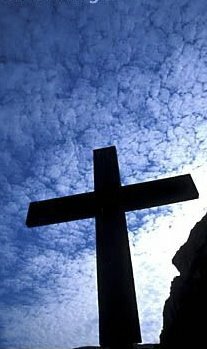 The expression, “we are by nature sinful and unclean,” comes from Article II:1 of the Augsburg Confession, and is unique to Lutheranism in its structuring of the preparatory rites. The statements made in this prayer of confession are summary of Romans 7:14 – 8:14. The Absolution is the announcement of forgiveness to the penitent sinner. Our Lord declares through the mouth of his servant, the pastor, that by his grace and mercy our sins are forgiven. 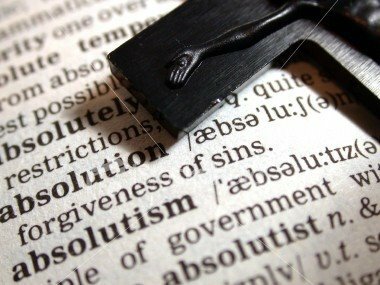 The Absolution speaks God’s Word into our ears in a most personal way. Through these Gospel words we receive the salvation earned by Christ upon the cross of Calvary, every sin covered by his blessed death. Almighty God in His mercy has given His Son to die for you and for His sake forgives you all your sins. As a called and ordained servant of Word I announce the grace of God to all of you, and in the stead and by the command of my Lord Jesus Christ, I forgive you all your sins in the name of the Father and of the + Son and of the Holy Spirit. Heavenly peace and joy in the soul replaces the trembling and anguished conscience previously burdened by sin. With clean hands and a pure heart we are now prepared to stand before the holy presence of God (Psalm 24).